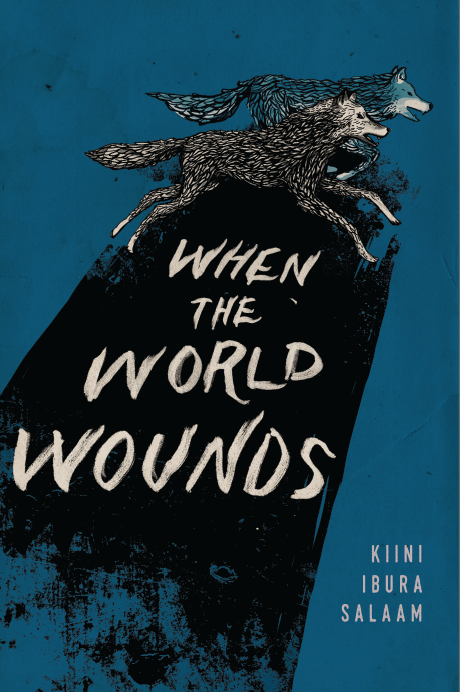 In this eagerly-awaited collection, Kiini Ibura Salaam continues her exploration of the dark, the sensual, and the mysterious with fiction that disturbs, delights, and dazzles. The five stories and one novella collected in When the World Wounds examine the tumultuous nature of the human condition through such wild imaginings as sensual encounters with deer, escapism in a dystopic prison, and volcano women. In “The Taming,” a lupine creature is trapped by beasts whose nefarious nature is beyond their prey’s understanding. In “Hemmie’s Calenture,” a woman escaping enslavement is thrust into a war between gods. “The Pull of the Wing” is the prequel to Salaam’s wildly popular Of Wings, Nectar, and Ancestors trilogy. “Because of the Bone Man” transports readers to the desolate landscape of post-Katrina New Orleans and the struggle of the city’s culture bearers to carry on. A welcome follow-up to Salaam’s award-winning Ancient, Ancient, When the World Wounds is perceptive and engaging as it examines our world’s callous and perilous landscapes while tickling the imagination and startling the senses.